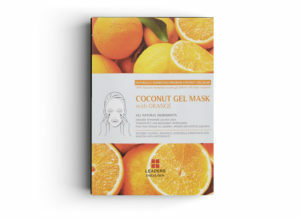 This natural coconut gel mask with orange extract brightens the skin and improves skin texture by cleansing and tightening the pores. Orange extract is abundant in Vitamin C which boosts collagen and brightens skin, while AHA improves texture by exfoliating. Recommended for dull/uneven skin tones and blemishes.